Truth be told, THAT gun has probably never been fired. Michigan is indeed a sportsman’s paradise. Naturally, the coveted NRA scoring and endorsement will be flaunted by would-be Michigan politicos who want an edge up on their opponents. In the strange circumstance however, the NRA has been rewarding legislative support for ammo registration in Michigan yet is fighting it in California. Yes, in Michigan, several legislators are being punished by the NRA scoring process for voting against a package of bills designed to ‘Keep ammo out of the hands of felons.’ Certainly the NRA is acting responsibly, right? Until you carefully think through what it takes to enforce such an act. Lets consider what the NRA uses as legislative candidate scoring criteria first. 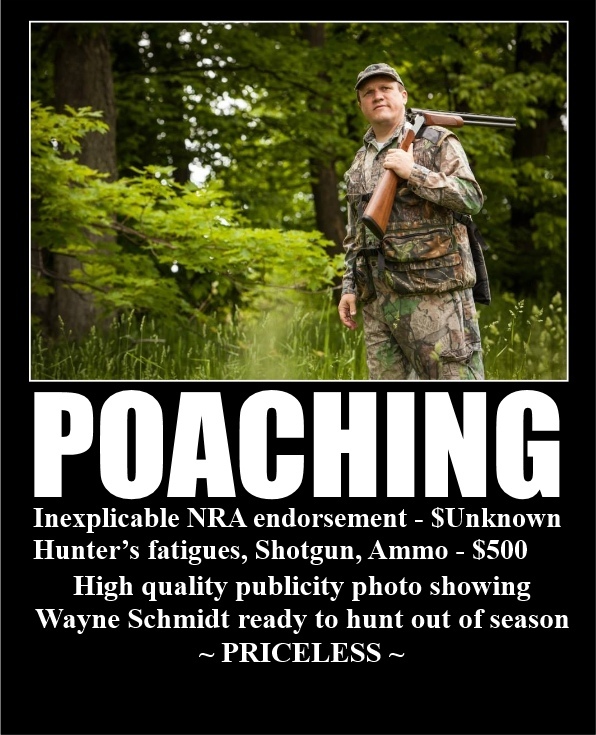 Certainly, by using Greg MacMaster and Wayne Schmidt’s records on firearms legislation as a comparison, the voting record of MacMaster, earning an NRA “B+” rating would indicate he was for some restrictive gun legislation, and Schmidt with an “A” rating as a shoot-em-if-ya-got-em rock solid gun rights advocate, right? Strangely, the ONLY difference in their voting records on firearms issues is a particular package of bills designed to “keep that ammo out of felons’ hands.” The following are areas of difference to be noted. Weapons; ammunition; possession of ammunition by certain individuals; prohibit. Amends sec. 224f of 1931 PA 328 (MCL 750.224f). These bills the only place where these legislators are opposites in firearms related legislative activity. “Good I Don’t Want Felons to Have Bullets. Woah not so fast there spanky. I am with you as are many others. We carry in many cases to protect ourselves from criminals who would do us or our family harm. As such I would like it if violent felons didn’t have access to weapons or bullets. However if there is anything we have learned in life it is criminals don’t follow laws. Hell if they did they wouldn’t be criminals right. So what we have here is really feel good legislation that does nothing for the people of Michigan. It does not stop criminals from buying ammunition as we have no background checks on ammunition. Ammo registration. Huh. Good for Michigan, yet NOT for California. At least according to an organization which pretends a knowledge of who might better represent the firearms owner. And some folks might wonder how Barack Obama won a Nobel prize. The only people who vote for W Schmidt are either 1) uninformed; or 2) are part of the good-old-boys GOP club.